Although 16-year-old Hafez al-Assad's was provided with beefed-up security, the International Mathematical Olympiad authorities claimed that the presence of Bashar's son had not been a hindrance to the event. 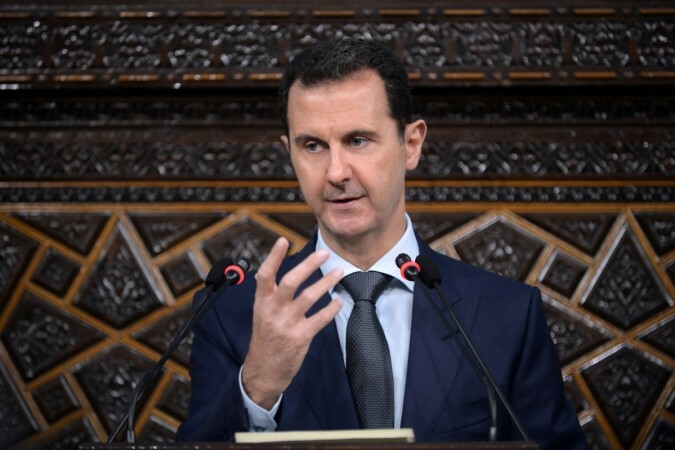 Syrian president Bashar al-Assad's teenage son, Hafez al-Assad, requested the International Mathematical Olympiad authorities to treat him "normally" just like any other student. "He wants to be treated like a normal student and he acts like one. He checked into a hotel alongside students from 18 countries", Valentin Cuibus, School Inspectorate in Romania's Cluj-Napoca told AFP. "He didn't ask for anything special; no special conditions, no separate apartment, giving that he shares a room with a colleague," he added. Although Hafez has been provided with beefed-up security measures, the authorities claimed that the presence of Bashar's son was not a hindrance to the event. "We had absolutely no problem with him," Cuibus said. Nearly 100 police personnel were deployed as a security measure for Hafez, reports AFP. The 16-year-old boy is participating in the maths competition along with 615 other students from over 100 countries around the world. The Olympiad is held until Saturday, July 14 in the Romanian city of Cluj-Napoca. Hafez claimed that he has been passionate about mathematics since childhood and that he intends to score good marks in the competition, the French news agency reported. The Syrian's president son, however, did not perform well in the last International Maths Olympiad that took place in Rio de Janeiro, Brazil. Hafez finished in the 528th position out of total 615 students. Romania's Cluj is hosting the International Mathematics Olympiad for the sixth time which cost the city around EUR 1 million in total. Nearly 350 volunteers are part of the event that is taking place from 3 July to 14 July.